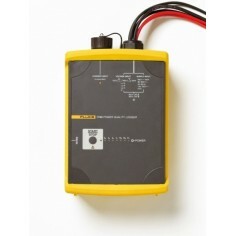 The 3-phase power and mains disturbance analyzer MAVOWATT 70 fulfills the standards EN50160, EN61000-4-7 and EN61000-4-15 which are relevant for mains quality measurement, as well as EN61000-4-30 which specifies measuring procedures for voltage quality. The class A device simultaneously monitors RMS values, harmonics, flicker and transients down to a time range of approximately 80 µs. 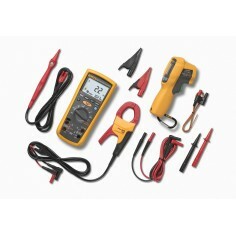 The MAVOWATT 70 has 8 measuring channels: 4 for voltage and 4 for current. The measuring configuration and the type of electrical circuit is selected automatically based upon detected measured quantities. The type of utilized monitoring with automatic limit value definition is easy to select. Acquired data are saved to CompactFlash memory cards. The instrument can be operated intuitively with the help of icons which appear at the color touch-screen, and selection can be made from amongst German, English, Spanish, Italian, Swedish and French. The MAVOWATT 70 offers special modes for the recording of switch-on effects and fault note. iAdditionally there is an analysis module integrated for the direction of the voltage drop, switching tops of the power factor correction and the quality of motors. The MAVOWATT 70 has A/D converters with 1 MHz sampling rate and can aquire fast transients and store the curve form. The functionality of the power analysis is extended and a special model is available for measurements in 400 Hz power systems. 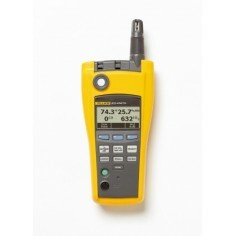 Data communication is optional possible via RS 232, Ethernet or USB. Download the simulation of MAVOWATT 40 to your PC. Unzip the file in an empty directory - there will be no software installation on your PC. Start the file SimMV70.exe and operate the simulated device on your screen. The simulation is terminated by clicking on the right mouse button.